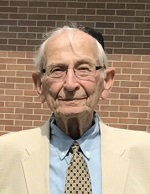 Marvin Berman, 86, of West Bloomfield, Michigan, died on 03 February 2019. The Funeral was held at The Davidson/Hermelin Chapel at Clover Hill Park on Wednesday, 06 February 2019 at 12:30 PM . Rabbi Jennifer Kaluzny and Assistant Cantor Leonard Gutman officiated.